Shaded Relief – Includes the U.K. and Scotland (click on the image to enlarge). Political – Includes the U.K. and Scotland (click on the image to enlarge). 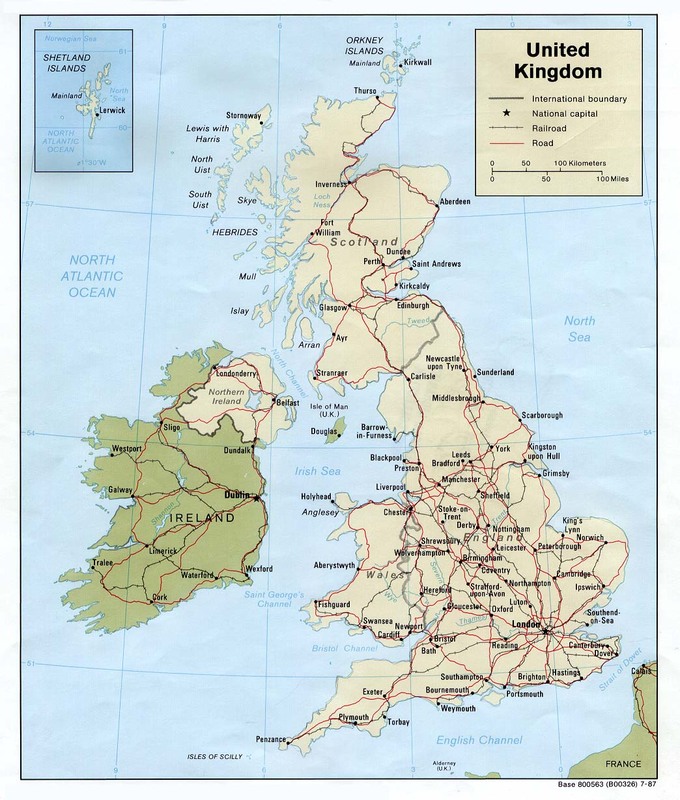 Roads – Go to MapQuest and enter an address to get a custom map of England. Flags – Click on the map of the U.K. to see each region’s flag. Historical – This selection of maps and views traces the growing awareness of the form of British Isles and their place in the wider world during the years between 800 and 1600.
eBook Maps – Free eBook maps for your eBook device. England and Wales Atlas Wall Map – Richly detailed, this detailed print of England, Wales, and southern Scotland shows country boundaries, parks, cities and towns, lakes, rivers, and highways. By National Geographic. 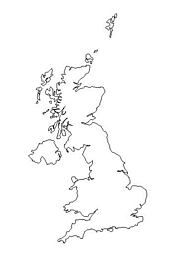 Click here for all England map products – Maps.com! 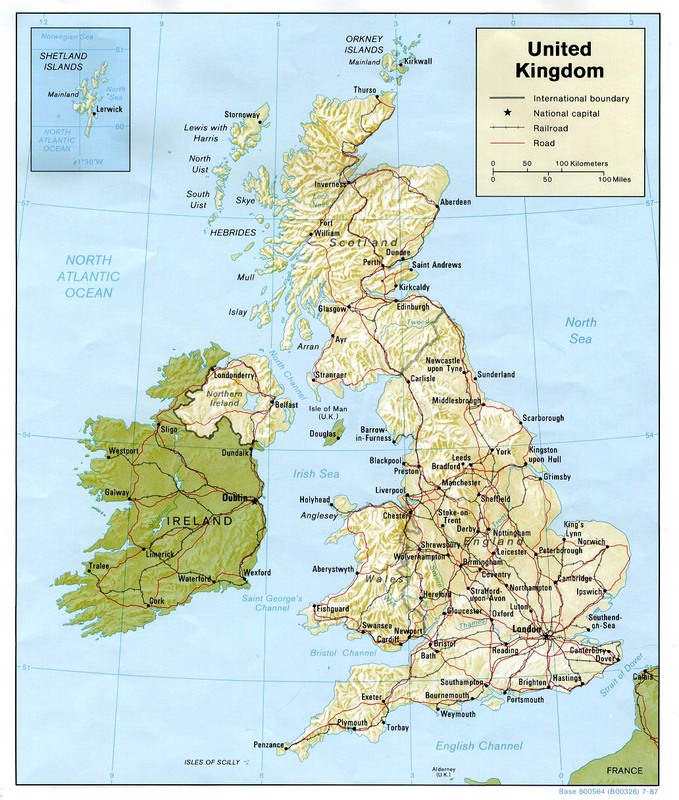 England is the largest and most populous portion of the United Kingdom at 50,334 square miles. The UK includes Great Britain and Northern Ireland. The north of England is mountainous and the chief highlands are the Cumbrian Mountains in the northwest. The famous Lake District in the Cumbrians has England’s highest points. Near England’s southern coast are gently rolling hills and large plains. In the east and southeast, river estuaries lead to some of the larger commercial and industrial centers. Little is known about the earliest inhabitants of England, but the remains of their monuments and the huge stone circles at Stonehenge are evidence of the developed culture of the prehistoric Britons. England’s long history includes Roman conquest, invasions by the Germanic peoples, and invasions by the Vikings. The Medieval era began with the Norman-style political and military feudalism systems. The people endured a civil war, the Black Death, and the Dynastic wars. The reign of the Tudors from 1485 until 1603 restored political order and the financial solvency of the crown. The Elizabethan age spawned great figures such as Shakespeare, Sir Francis Drake, and Sir Walter Raleigh. A long conflict with Spain, growing partly out of commercial and maritime rivalry and partly out of religious differences, culminated in the defeat of the Spanish Armada in 1588. The 17th century saw England as more involved in world affairs and the 18th century was a time of transition in the growth of the British parliamentary system. Browse all the other World Maps.